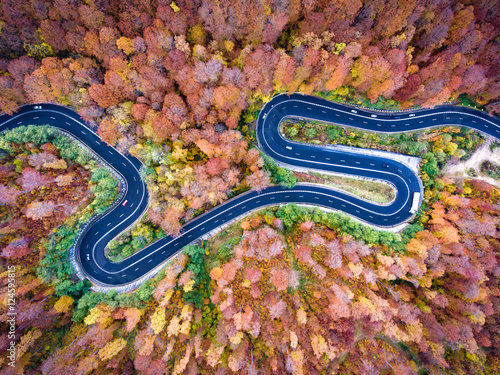 Winding road in the forest. 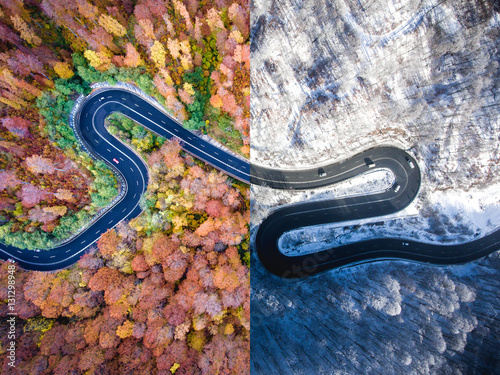 Autumn, summer and winter time colage. 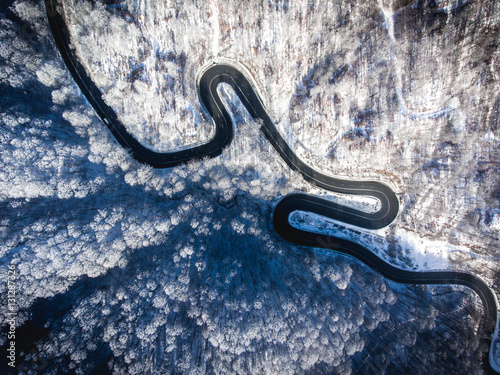 Top down aerial view from a drone. 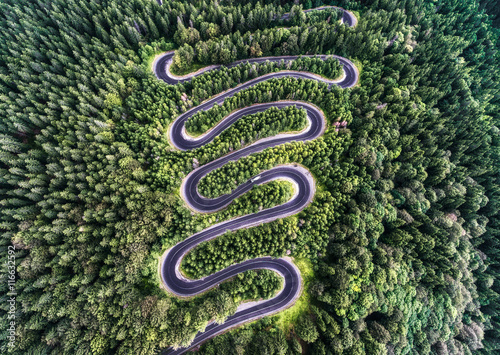 Curvy road from the high mountain pass in Transalpina, Romania. 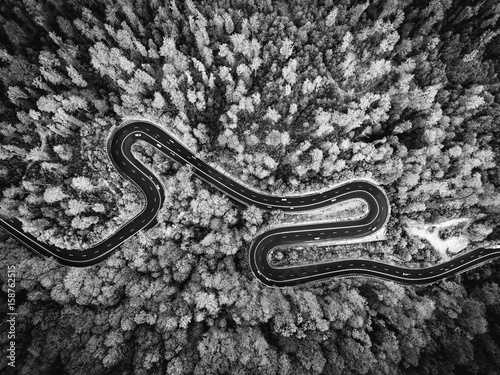 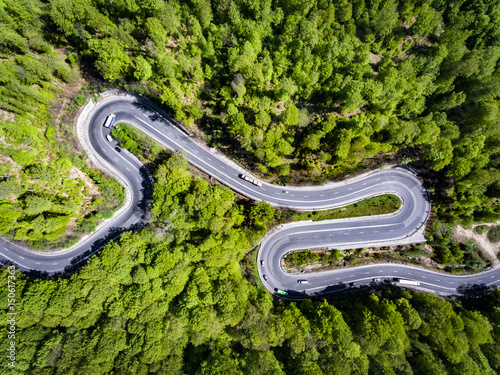 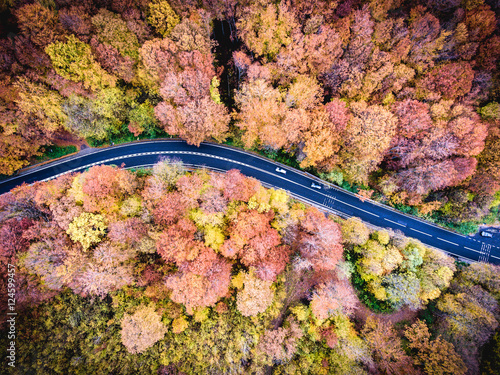 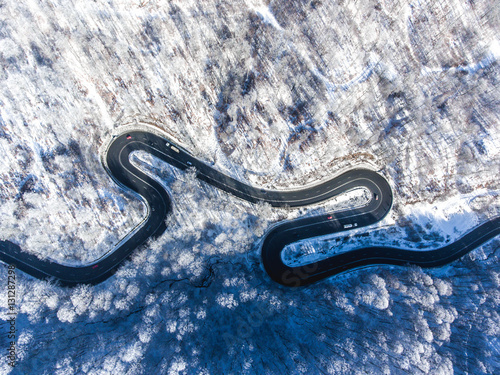 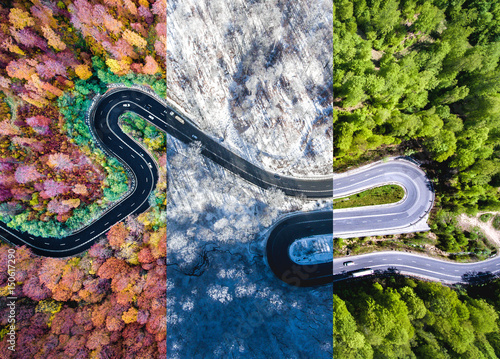 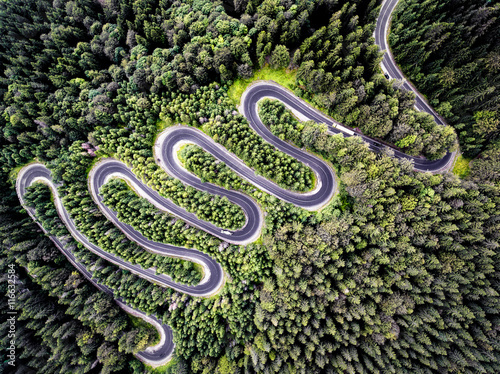 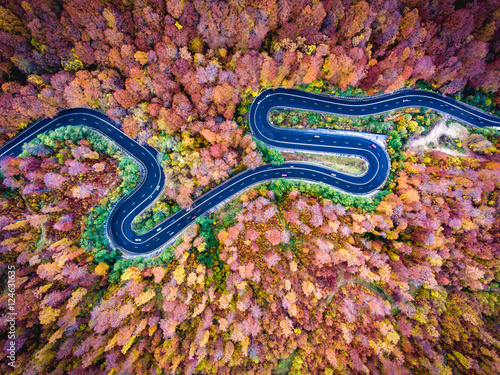 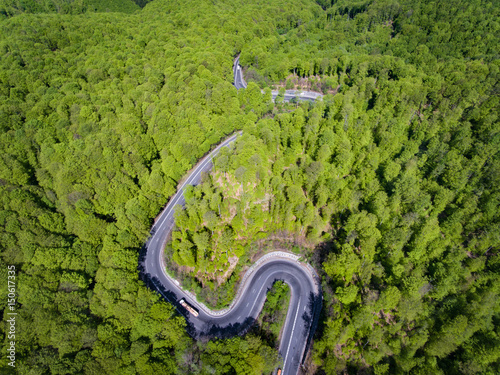 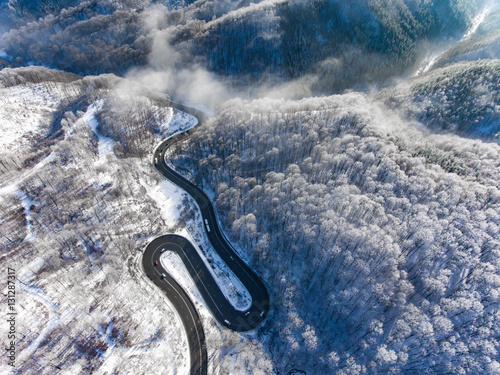 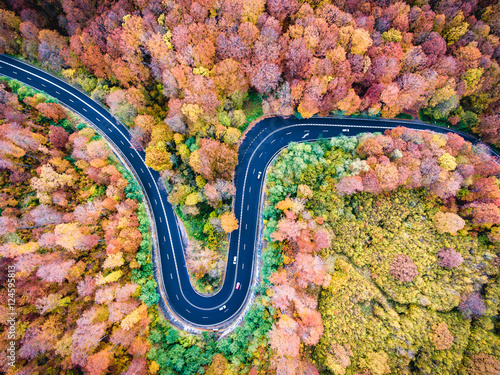 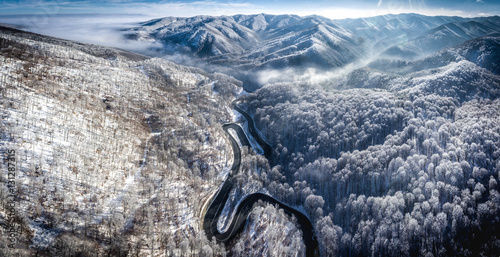 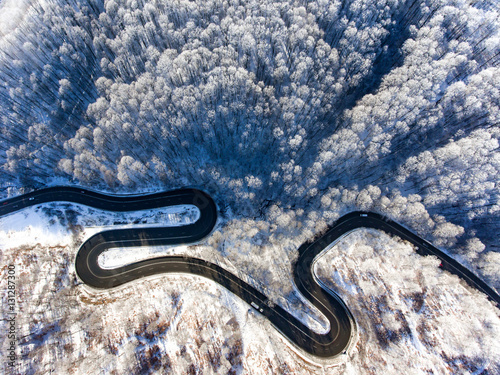 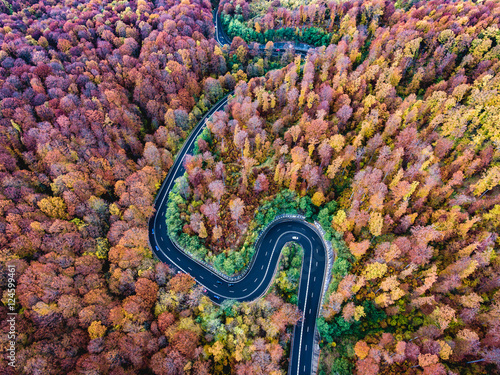 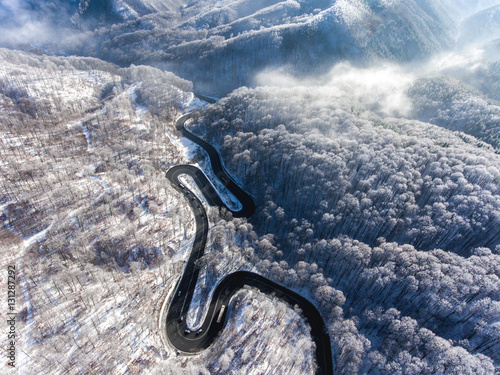 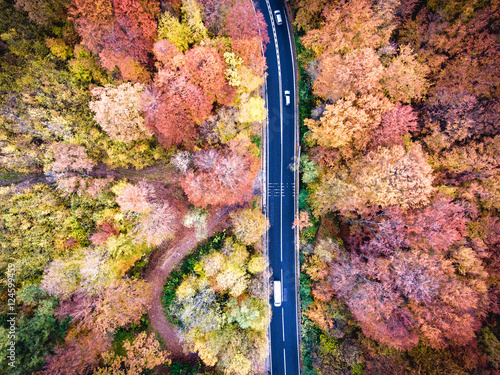 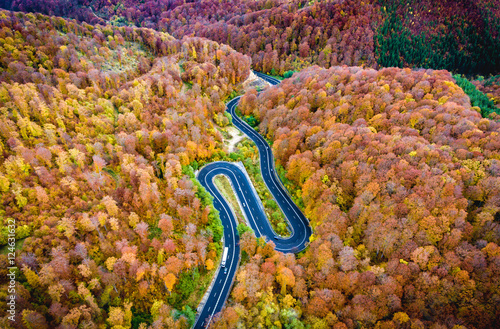 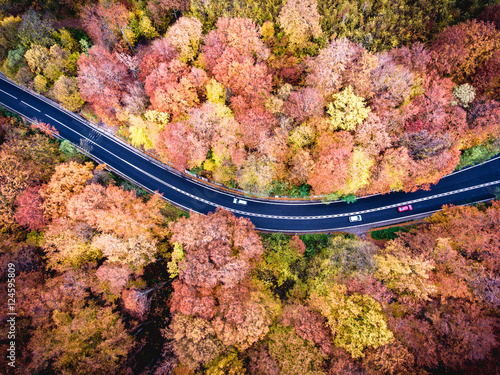 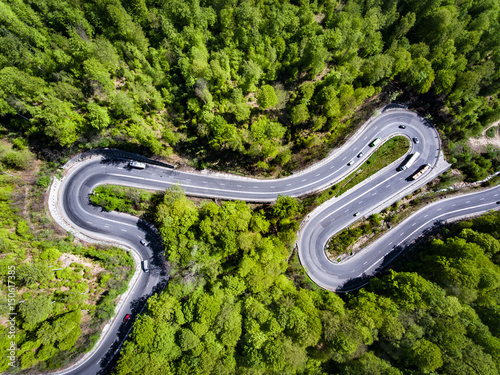 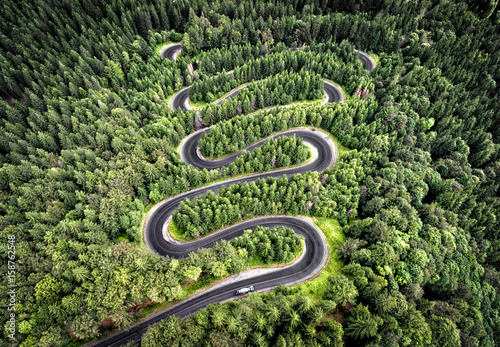 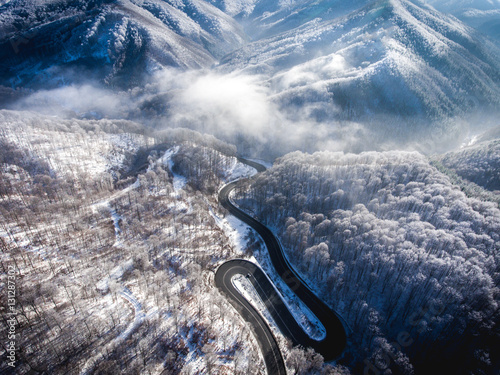 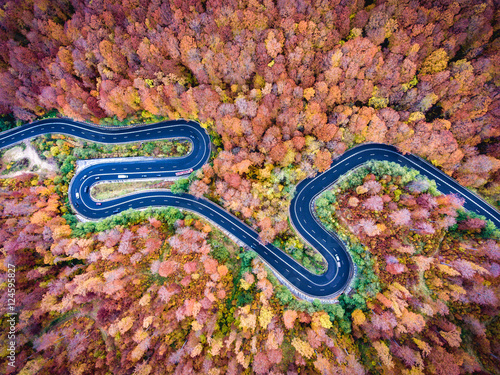 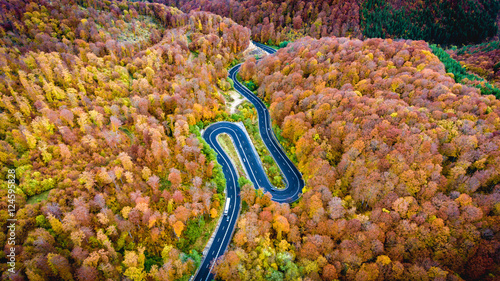 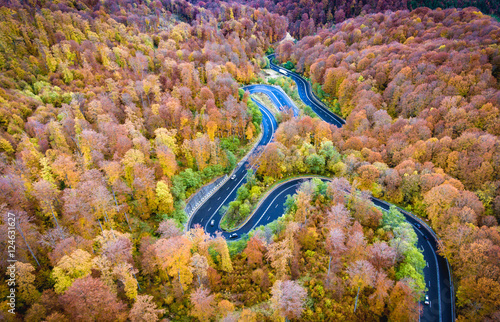 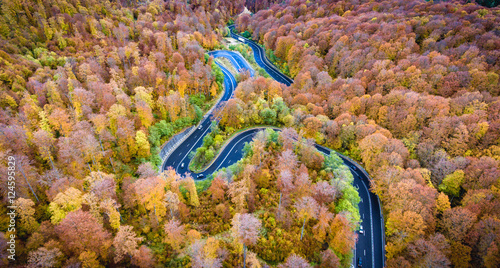 Aerial drone view of a curved winding road through the forest high mountain pass. 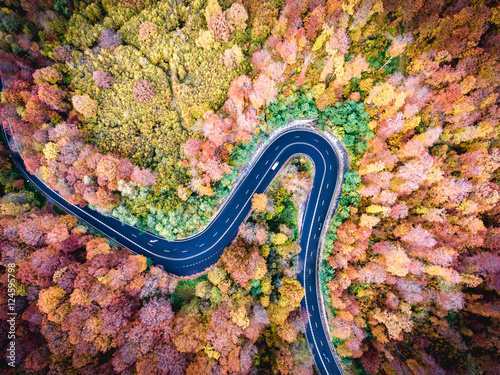 Road in the forest. 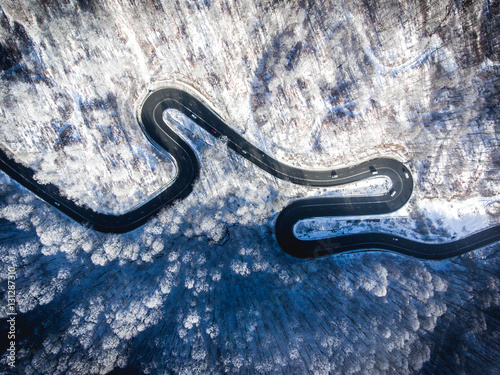 Hi mountain pass in Transylvania. 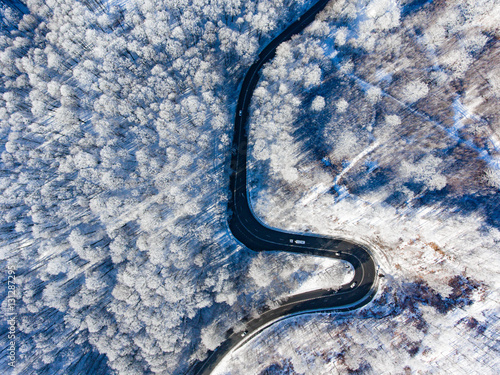 Aerial view from drone.